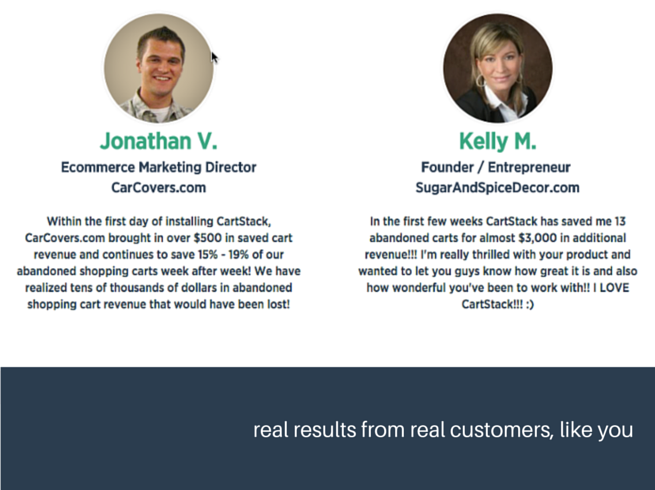 What is CartStack? 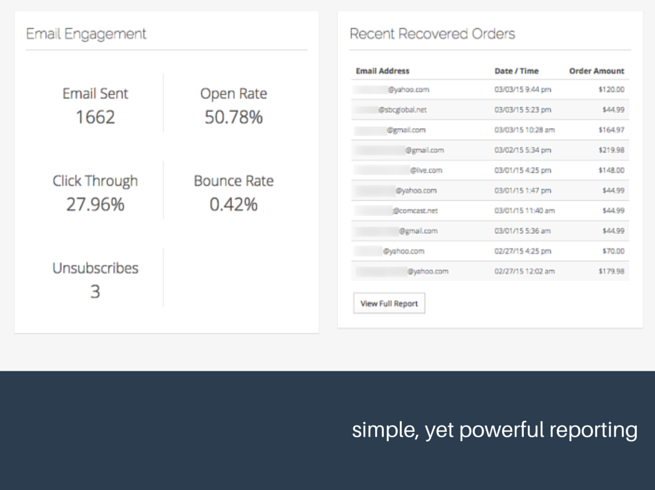 CartStack brings customers back to your site by monitoring when they abandon their shopping carts, and sending them real-time, conversion-focused emails to persuade them to finalize their purchase. It's the most powerful shopping cart abandonment tool around! How does it work? Simple. You sign-up for our 30 day free trial. 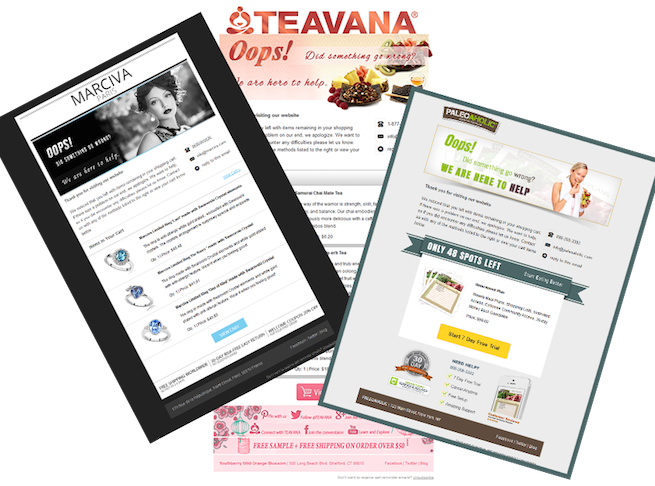 We'll design a high quality, custom email design for you. Then just add our tracking code to your 3dcart site (only takes a few minutes). 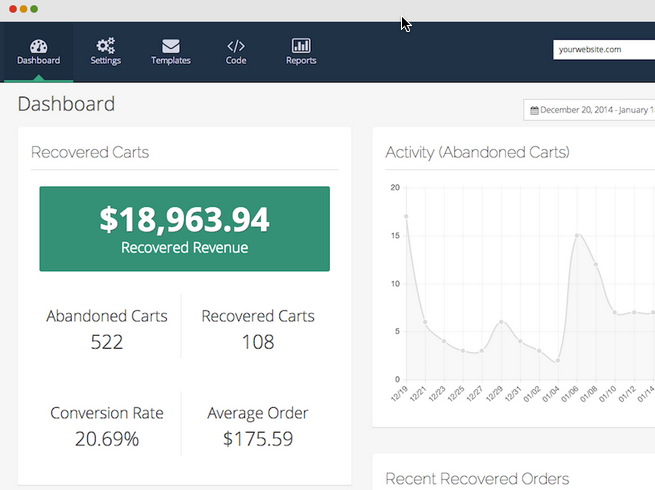 Finally, sit back and recover lost orders automatically. What are typical results? Our average customer recovers about $2,300 for every $100 spent! What is the $1000 Recovered Revenue Guarantee? If your campaign doesn't recover at least $1,000 in the first 30 days you can keep using our solution for free until it does. What do you have to lose? Q: How does this differ from the free abandoned cart feature that is included in my 3dCart package? Don't settle for bland, cookie-cutter social links! 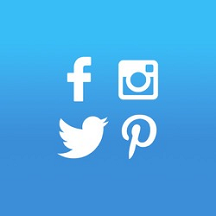 Engage your users will with custom social media icons from POWr. Link to any account on Facebook, Flickr, Foursquare, Github, Google+, Instagram, Linkedin, Pinterest, Tumblr, Twitter, YouTube, and dozens more.